The first time I heard of the new series Manifest was at Comic-Con in July. They had an interesting offsite exhibit. It was an oxygen bar where you could relax, breathe in some flavored air and watch the trailer for the new series. It had a fascinating premise. I have to say; I was sold. I put a reminder on my DVR and looked forward to the premiere. I watched the series premiere and hoped it would live up to the hype, and it did. It wasted no time (pun intended) jumping into the main storyline of a flight that disappears for five years. To the people on the flight, no time has passed. As far as they are concerned, they just flew from Montego to New York. To the rest of the world, over five years has passed. The premiere does a good job balancing the drama of people adapting to their new lives with a mysterious science fiction element. Something strange happened to the passengers and crew of flight 828, and I get the feeling we will continue to get bits, and pieces of the mystery revealed as the season moves forward. Did the plane go through a time distortion, were they abducted by aliens? We will see as the season progresses. I really enjoyed this show. The characters are interesting, and I am curious about what actually happened to the flight. The show reminds me of other favorites like Heroes, Revolution, and Timeless. I was a fan of those shows as well, so I am cautiously optimistic about the future of this new series. One thing I can say is that it is off to a strong start. 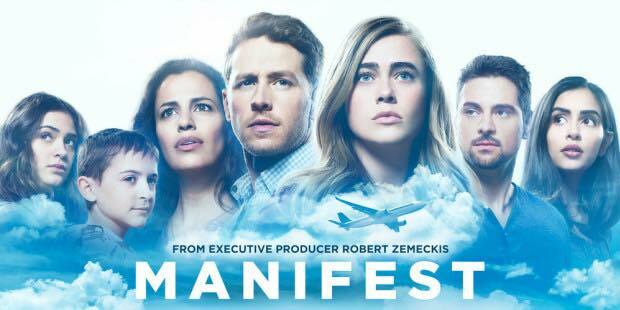 Manifest airs Mondays at 10 PM on NBC. Rating: 9 out of 10. Action, Drama, and Mystery. What else could you ask for?